Rakuten Super Points 10X POINTS! Buy it and earn 120 points! 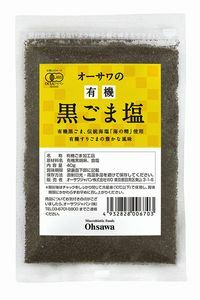 Is organic Sesame salt using the ☆ black organic cloth with a Sea Nymph. Good salty with the rich flavor of Sesame Black goes well with brown rice.